The dorms and residence halls at the University of Maryland offer incredible bang for your buck. For an additional $5,000 a semester, you can choose a brand new dorm complete with air conditioning and amenities like having a convenience store nearby in addition to a meal plan. The apartments are also fairly cheap at $800-900 a month for all utilities. Here are the 5 best dorms/residences at UMD. This dorm is the newest addition to the campus community. Finished in Fall 2014, this building is like a high rise apartment building with 7 floors and 2 study lounges on each floor. Living in this hall is like wining the lottery because everyone wants to live in this hall. Who doesn’t want extra living space for the same amount of money? This hall is a carbon copy of Prince Fredrick Hall but it is slightly older. You get pretty much the same amenities as Prince Fredrick but you are situated in a far better location. Prince Fredrick is almost off campus whereas Oakland is situated on North Campus, which is pretty much the life of the student community. If you live here, you get access to 251 North which used to be a buffet area but is now a dining hall as well as a 24 hour convenience shop! Do you like classical music? How about movies? Anne Arundel has you covered with both! There is a baby grand piano in the basement and a multipurpose room with a projector and stereo sound system. If you want to become a music producer or you simply enjoy watching copious amounts of the latest flicks, consider movie to Anne Arundel! Montgomery is located almost off campus and the bustling nightlife that is Route 1! This building contains suites and apartments, so it is more private than the traditional dorm setting. Apartments have kitchens for students who are interested in making their own meals. There used to be a bus stop right outside the building but you’ll unfortunately have to find other means to get to your classes…but on the up side you’ll have a smashing time at any party on Route 1! This otherwise ordinary residence hall has one major plus to it. It is literally steps away from La Plata beach which is the only place you’ll find sand on campus. Not only that, the dorm is also located close to Epply gym so you can get your workouts done in a jiffy. Talk about a great place to socialize! 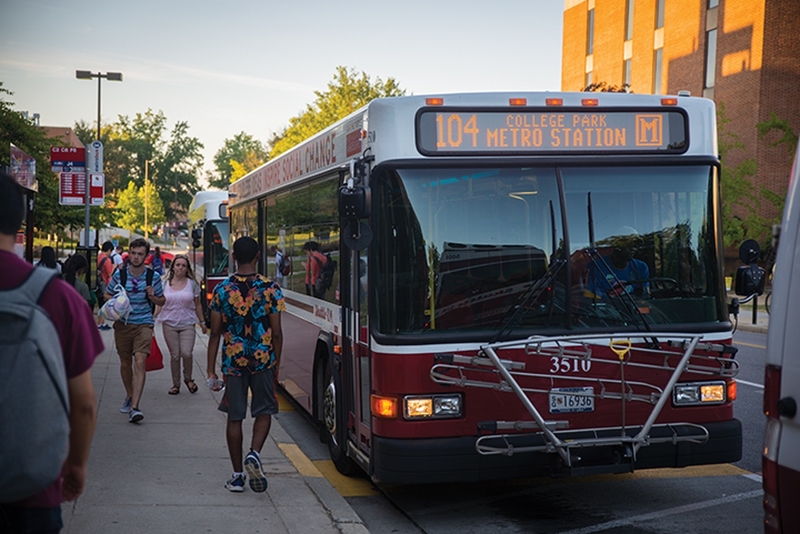 Now you have most of the information you need for move-in day at UMD! You just have to pick which of the 5 amazing dorms you want to call home for the next two semesters. Will it be Anne Arundel with its grand piano and entertainment suite? Or will it be Prince Fredrick where you will literally live like a prince? Oh no, you decode Montgomery Hall is best for you! Now you gotta check the packing list for all the stuff you still need to buy or bring!